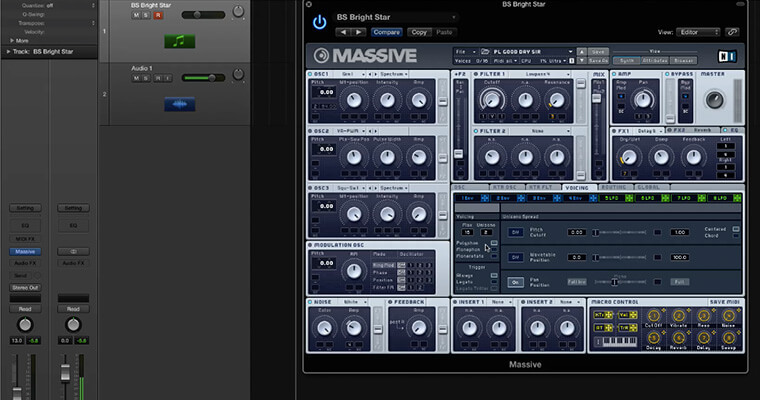 Learn how to use a crystal clear and simple method that involves just 5 steps to create sounds in Massive. 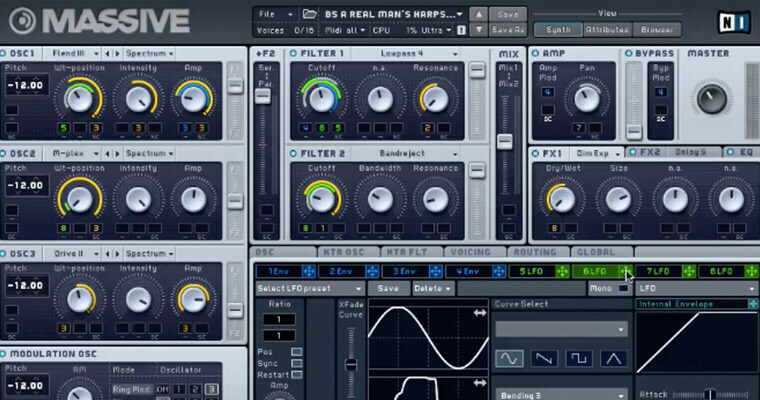 Understand the fundamentals of remaking sounds in Massive using the simple 5 step process covered in part 1 of the tutorial course. 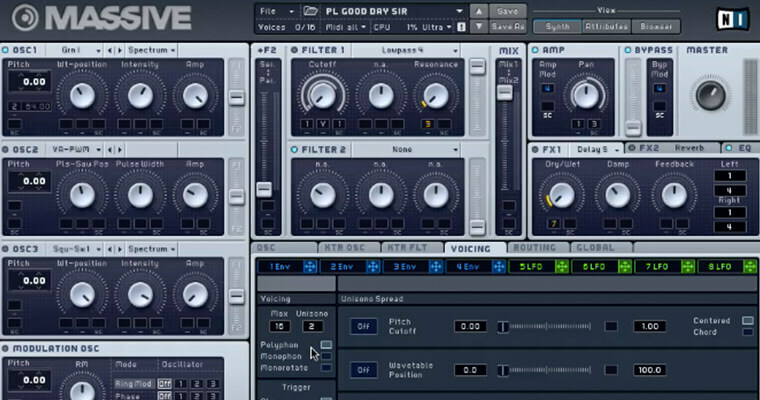 Learn how to remake those sounds you hear and envy in your favorite productions. 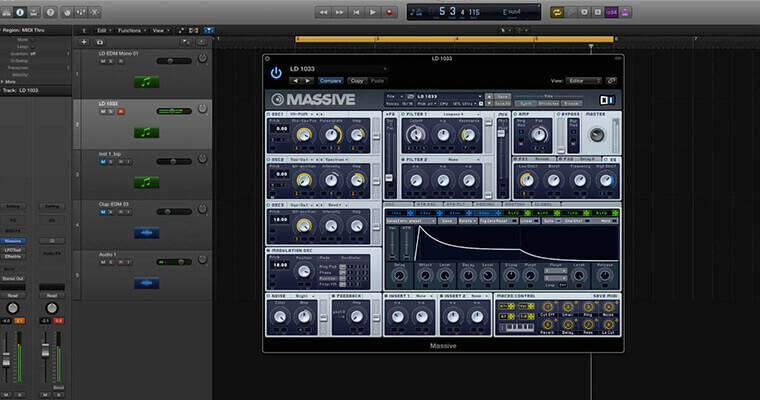 Also learn why remaking sounds is the best way to learn how to use a synth like Massive. Take full advantage of your creativity by breaking sound design into a step-by-step process – get all the tools, tips and tricks to make the sounds you want today. 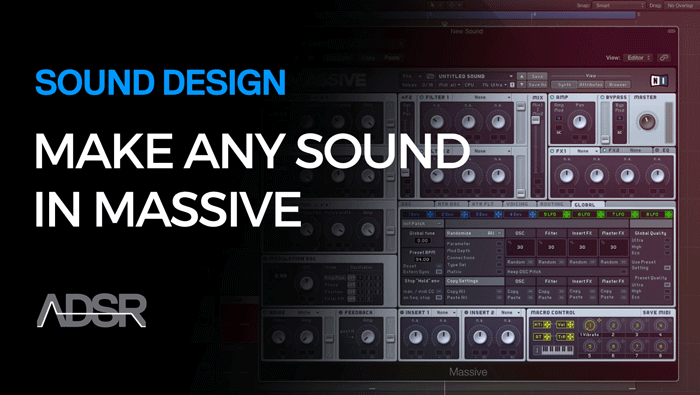 Learning the basics of how to operate Native Instruments’ Massive is one thing but understanding how to use it to create original, imaginative and professional sounds, requires a whole new level of technical and creative skill. Learn some great tips and tricks that will enhance the workflow of the 5 step sound design process covered in this tutorial course. Learn how to make Monophonic and Polyphonic leads with ease; digital and analogue basses and iconic supersaw sounds. Apply the 5-step process to quickly turn bass sounds into great digital sounding wobbles; get pro tips for creating snappy and crisp plucks; plus how to efficiently make pads in Massive.